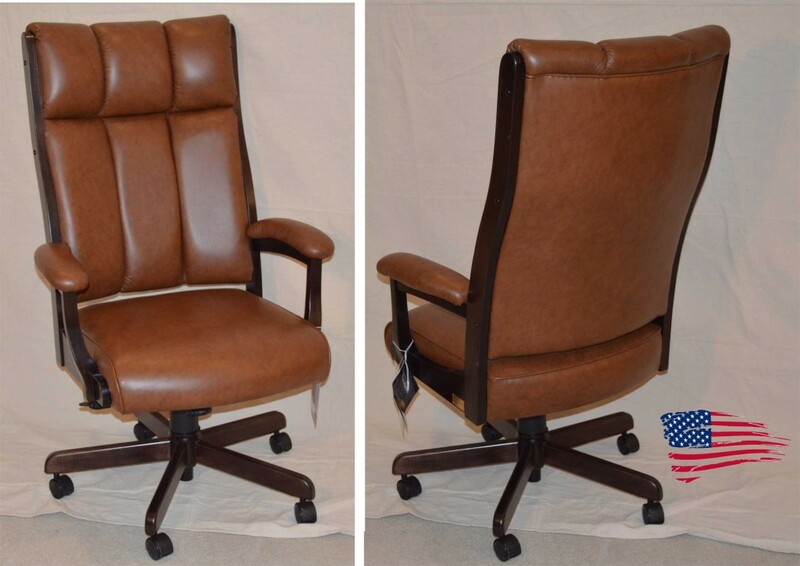 Our highest quality Office Chair features top-grain leather on all panels, solid maple, and padded arms. This chair also swivels, rocks, and has gas-lift seat. Chair can be special ordered for your needs including your choice of wood specie, finish, leather or cloth.